The word already says it, 3D letters are letters that actually come forward. 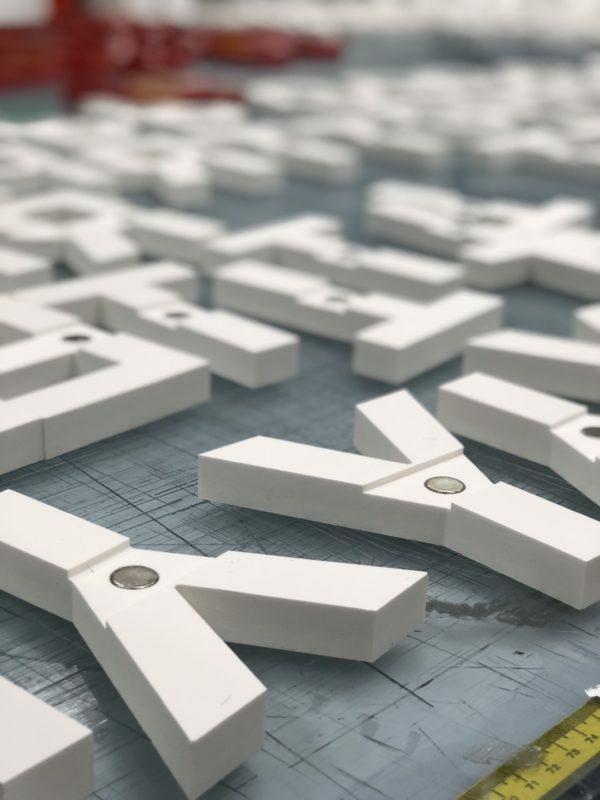 3D letters may consist of various materials, illuminated or non-illuminated, from polystyrene letters, box letters, milled letters to brass letters. 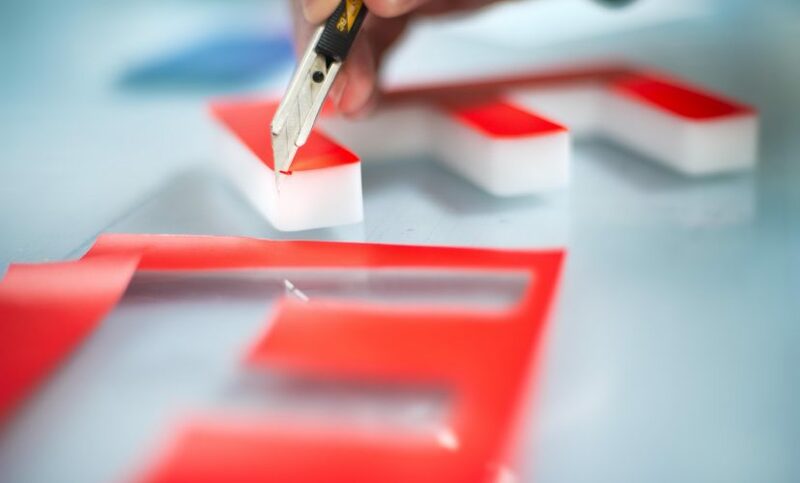 Milled and lasered facade letters varying in different colours, sizes, thicknesses and applications. These can be made from acrylox or stainless steel. Acrylox, a lightproof, colourfast, pigmented acrylic sheet, available in various thicknesses and RAL colours. Stainless steel offers a luxury look and is feasible in gold, silver, bronze, polished, or mirrored. Box letters can be applied illuminated as well as non-illuminated. Create your own identity by means of striking signing, from large & powerful to delicate and elegant. Box letters are available in plastic or aluminium and in every desired RAL colour. Box letters are suitable for both indoor and outdoor use. Illuminated box letters are available with LED lighting, directly or indirectly illuminated. These letters radiate luxury and exclusiveness. There are different applications of stainless steel, like for example acryox glued with stainless steel, stainless steel silver polished, stainless steel mirrored, stainless steel deluxe lasered or stainless steel letters with LED lighting. Are you curious about the options, then leave your information behind and we will call you as soon as possible.